Gel polish kits are a great way to start out in the world of gel polish. Kits usually come with everything you need to do a complete gel polish manicure at home and it’s usually a little cheaper than just getting everything on its own. 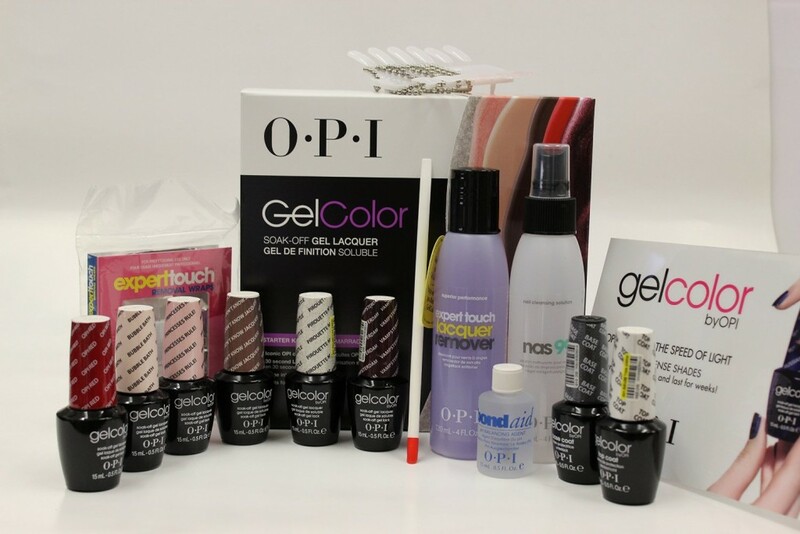 If you have thought about trying gel polish, one of these kits is sure to be right for you. 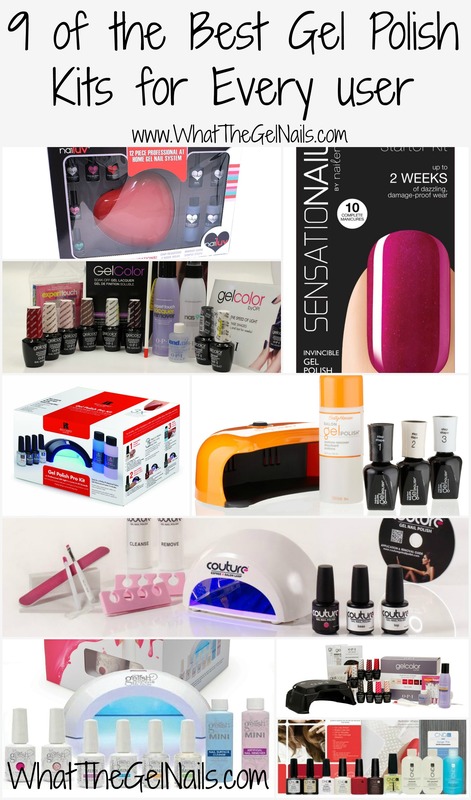 Here are some of the Best Gel Polish Starter Kits for every user. This was the kit that I started out with and I think it’s a great kit for first-timers. It comes with fairly small quantities so you will need to get new supplies pretty soon. But, it has everything you need to start and you can’t beat the price. This kit is available on amazon, at Sally’s, and at Target. They might have it at some Ulta’s, but they didn’t have it at mine. Additional accessories (cuticle pusher, buffer, etc. This is a very popular gel polish starter kit and it comes with everything you need. Red Carpet Manicure colors are sold at Ulta. This is a benefit if you have an Ulta nearby and don’t want to wait for an online order of gel polish. You can purchase the kit from amazon or from Ulta. This is another great option if you need something affordable. It comes with small quantities and it doesn’t come with a remover. 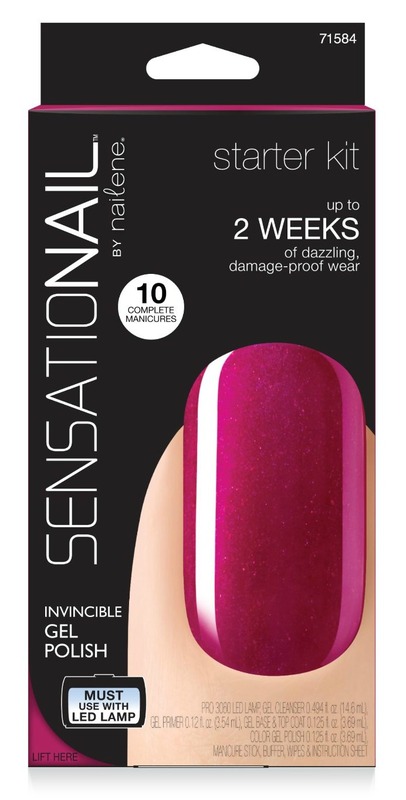 But, you don’t really need a special remover for gel polish, just pure acetone, so this is still a great gel polish kit. You can purchase it from amazon or from most Targets. The best part about this kit is that it comes with a cute heart shaped lamp. Oh yeah, and it comes with 5 different colors! I haven’t used this brand at all so I can’t speak to the quality of it. But, it’s a pretty great price for 5 different colors. I haven’t seen this kit anywhere except amazon. Cuticle pusher and emery board. OPI is an awesome brand that most people know. Their gelcolor line is great quality gel polish, even if it is a bit pricey. The biggest downside to this kit is that it doesn’t come with an LED or UV lamp. You would have to purchase the lamp separately. This is a pretty good LED lamp at an affordable price, even if you do have to twist your thumb at an awkward angle to actually cure 5 fingers at once. What makes the gelcolor iconic starter kit awesome though is that it comes with 6 FULL size colors. If you want to expand your collection of high quality colors, this is a great kit. It’s available on amazon. Couture is a great brand of gel polish that is free of harmful chemicals. The thing that makes this kit special is that you can choose the color of polish that you want in the kit. Many of these kits offer a few choices, but the choices are usually limited to 2 or 3 colors. The couture gel nail polish kit has 63 colors to choose from. You only get one color with the kit, but you can choose any color you want. I think that’s pretty awesome! Gelish is a professional brand, although this is not technically a professional kit. Gelish is a very popular gel polish brand with lots of users. This is a wonderful kit to start with. The base coat, top coat, cuticle oil, and bonder are only mini size so you will have to replace them fairly quickly, but the kit does come with 2 full size Gelish colors. If you work in a salon and need more than just an at home lamp, the Gelish Salon Essentials LED Light 18G is generally considered the best lamp there is for gel polish. This was the very first brand of gel polish and it’s still the industry leader. It is UV cure only, although many LED only users have gotten it to cure in their lamps by curing for 60 seconds rather than 30 seconds. CND Shellac is also supposed to have the best removal and great wear. If you want the most official and professional gel polish kit, this is probably it. If you are looking for a top of the line professional kit, then this is a great kit. It includes everything you need to do gel polish on yourself and on others. That’s awesome!! That is definitely a great kit to start with. So glad I found you’re blog I have the Opi gelcolor kit,Cnd shellac kit, sensationail kit, nailuv kit ( Costco was selling this kit ) the nailuv kit is great for traveling battery operated light . It’s light weight and if it breaks i would not be as upset unlike the other expensive kits those were big investements .